MIT Economist Bengt Holmström on his Nobel Prize-winning ideas for making fair and wise human agreements | Thursday, 8 December 2016. Professor Holmström's lecture starts at 29:40. 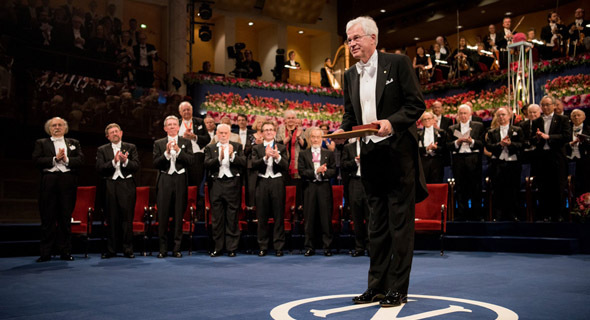 Bengt Robert Holmström is a winner of the 2016 Sveriges Riksbank Prize in Economic Sciences in Memory of Alfred Nobel, for his work on contract theory. He shares the prize with Oliver Hart, of Harvard University, a friend and colleague. Holmström is the Paul A. Samuelson Professor of Economics in the MIT School of Humanities, Arts, and Social Sciences (MIT SHASS) where he was head of the Economics Department from 2003-2006. He also holds a joint appointment in the MIT Sloan School." Melissa Nobles, the Kenan Sahin Dean of MIT SHASS, said that MIT is "very proud to celebrate Bengt Holmström’s pioneering economics research. Bengt’s foundational research in contract theory, which has provided practical tools for many areas of modern society, represents MIT’s profound commitment to basic research that can generate new and deep understandings of the human complexities — the political, cultural, and economic realities that shape our existence. Bengt has been a much-admired member of MIT’s School of Humanities, Arts, and Social Sciences since 1994, and on behalf of the entire School community, I want to wish him — and his co-winner, Oliver Hart, of Harvard — our warmest congratulations." Faculty members cite his transformative work on contract theory.